Since Interjet began its operations in Cozumel, the Council of Municipal Tourism Promotion has worked hand in hand with the airline to implement different strategies in order to attract more travelers to the island. “There are several flights that we will have here in Cozumel via charter, which will generate good results in terms of hotel occupation” said Pablo Aguilar Torres, manager of Tourism Promotion. 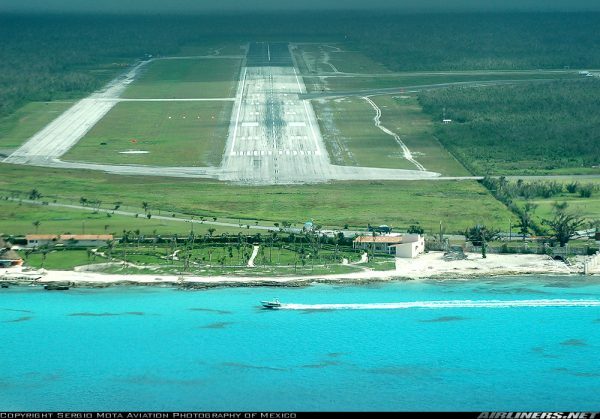 He said that on Thursday May 24, the first charter flight coming from Cincinnati will land on Cozumel. “There are about eight or nine cities in the United States from which we will have charter flights” he added. Currently, Interjet has around four frequencies on the island, but during the high season the figure increases and flies daily. He also stressed that Magnicharters will begin to operate in the island, during the summer season, , which will help to bring more domestic tourism. Aguilar Torres reported that they have detected an increase in the arrival of tourists by air and sea, but is not reflected in hotel occupancy, as many of them are users of the new travel digital platforms, such as Airbnb. Regarding the “travel warnings” issued by the US government, he stated that there were absolutely no cancellations, but those actions by the American authorities, undoubtedly affect the destination’s image and reputation.